Do you tend to skip leg day? Its okay; you’re not alone. When people work out, they usually try to hit every part of there body on a weekly basis. But even the most aged veteran will tell you he missed a leg day here or there. A new study shows that using your legs, particularly with weight-bearing exercise, sends signals to the brain that are vital for the production of healthy neural cells. With these new findings, how exactly are leg exercises critical to the health of your brain and nervous system? Stay tuned as we take a look at the research and take a deeper dive into this topic. Leg workouts have too many benefits to name in one article, but I’ll share a few. One is that leg workouts boost your metabolism. Since the muscles of your legs are the largest muscles of the body, you burn more calories when working out this area than anywhere else. Leg workouts also provide a way to increase the release of growth hormones and testosterone. Working out legs actually helps strengthen your core and lower back in return making your upper body workouts better. The development of being able to work in legs is all mental and by building up the habit of leg workouts you’re actually becoming stronger mentally. The new study found here shows that cutting back on exercise makes it difficult for the body to produce new nerve cells. Furthermore, both neurons and oligodendrocytes specialized cells that support and insulate nerve cells. By not working out your legs, these cells won’t fully mature. 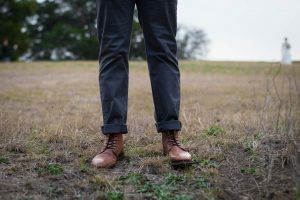 Another British study actually found that leg strength was a better predictor of brain health than any other lifestyle factor looked at in the study. Your leg power aids your cognitive fitness. This is because regular exercise does not improve as many pathways in the brain, compared to a great leg workout. Leg workouts can improve your brain’s overall function including those related to learning, memory, and mood.